Play the #1 FREE SOLITAIRE (or Klondike Solitaire / Patience) cardgame on Android! Klondike Solitaire, also known as PatienceSolitaire, is the most popular solitaire card game in the world.Try our BEST FREE SOLITAIRE card app, which is beautiful and funlike classic Windows Solitaire. 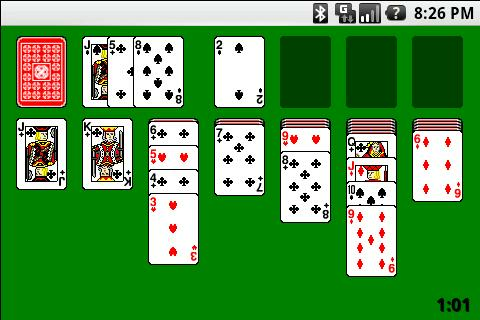 Features:♠ Beautiful graphics andclassic gameplay♠ Smart tap, drag and drop♠ Klondike (Patience)Solitaire Draw 1 card♠ Klondike (Patience) Solitaire Draw 3 cards♠Classic / Las Vegas scoring♠ Records of top scores♠ Hints ofpotentially moves for free♠ Unlimited undo, for free♠ Timer modeoption, for free♠ Left handed option, for free♠ Auto complete tofinish a solved game, for free♠ The game is FREE!♠ Multiplayeronline mode is coming!We hope you enjoy the classic KlondikePatience Solitaire card game for FREE. 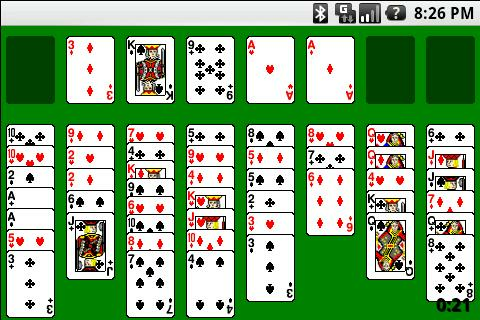 Best solitaire game! Enjoythe solitary!